Albrun (Celina Peter) lives with her mother (Claudia Martini) in a small hut in the alps. Their lives are withdrawn and lonely, the mother being suspected by everyone in their village of being a witch. After her mother’s death, the by now grown Albrun (Aleksandra Cwen) remains completely on her own and equally shunned. But after she gives birth herself and receives a present from the village priest (Haymon Maria Buttinger), there does seem to be a present in her hut that isn’t supposed to be there. 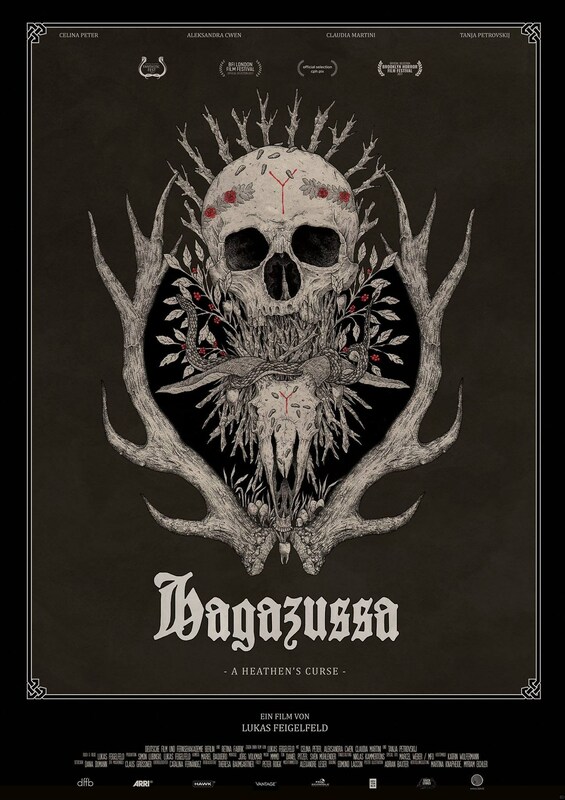 Hagazussa is a film from a promising filmmaker that isn’t quite as good as it could have been. But it’s definitely interesting enough to warrant keeping an eye out for what Feigelfeld does next. Hagazussa’s biggest problem is that it feels really, really long. 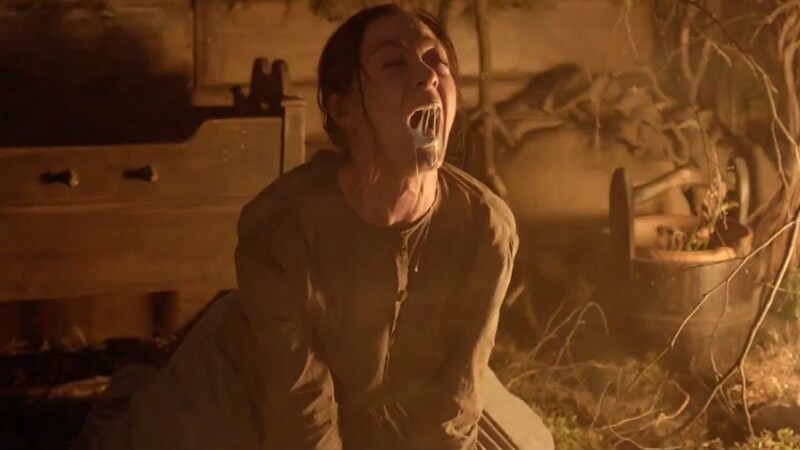 It doesn’t have that much story to tell and it takes its time telling it, drawing things out with slow motion, keeping the horror stuff confined to the last few minutes of the film. And I can value a slow burn, but in this case, it was too much slow and not enough burn. It certainly wouldn’t have been necessary to go past the 90-minute-mark and 80 would have probably done the trick just as well. Disregarding the length, though, the film does look great. The medieval setting really comes to life on the visual level and the excellent sound design and music do their part to rack up the tension even when the film feels too long. Movies with witches are difficult und Feigelfeld doesn’t quite manage to steer clear of all tropes. But since he is firmly in Almut’s corner, neither does it go the way of misogyny. I would have much preferred it, though, if we could have done without the sexualized violence. Given the low budget, Hagazussa is a surprisingly well-crafted film that does have weaknesses. But I will be there to watch Feigelfeld’s next film. This entry was posted in austrian film, movies and tagged /slash Filmfestival, 2017, Aleksandra Cwen, Celina Peter, Claudia Martini, Hagazussa, Hagazussa: A Heathen's Curse, Haymon Maria Buttinger, Lukas Feigelfeld, Tanja Petrovsky by kalafudra. Bookmark the permalink.